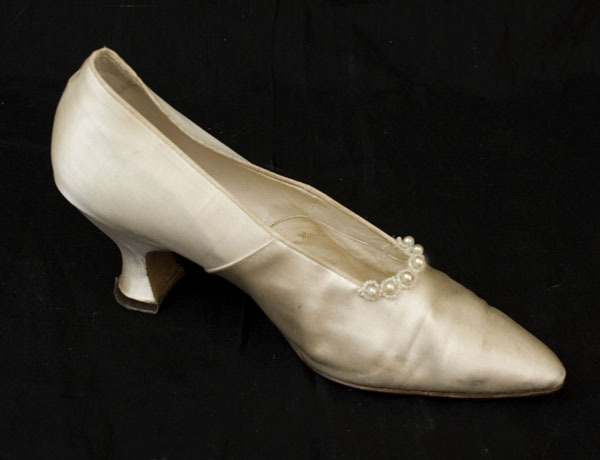 The bride who wore these wedding shoes also wore the silk stockings currently offered. 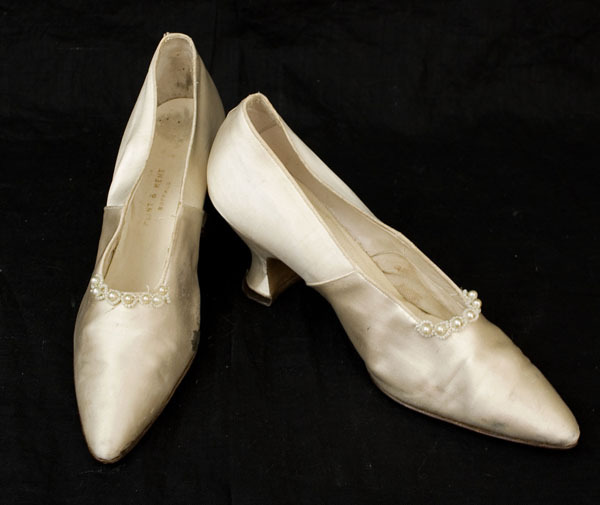 The pumps are fashioned from ivory satin and feature shapely Louis heels and faux pearl decoration. 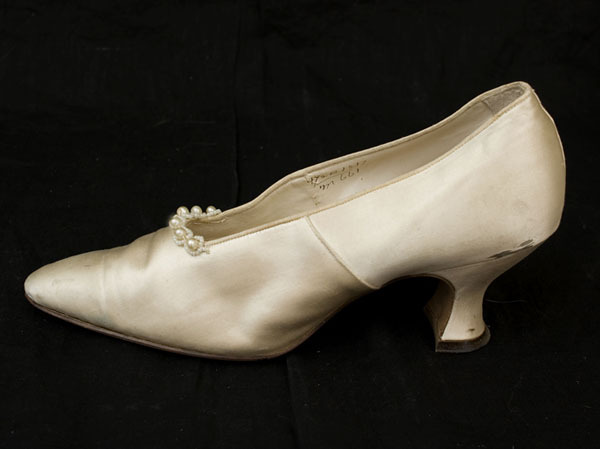 The shoes are stamped "Flint & Kent/Buffalo" on the insole. The condition is almost excellent. The shoes have a few dark gray stains—see bottom picture for the largest stain. The size is about 6 narrow. 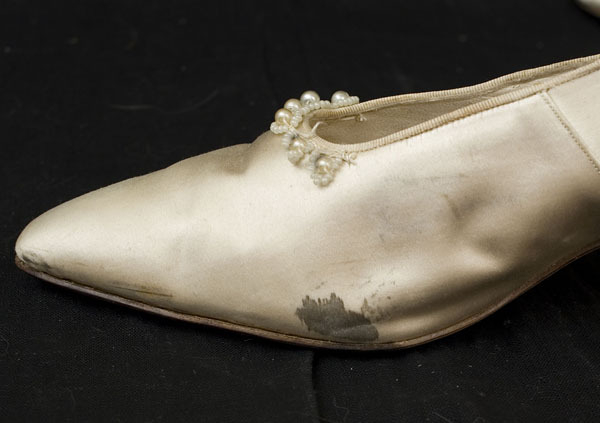 The shoes are 10" long from heel to toe. The heels are 2 1/2" high.